It's Hip Hop, Baby is a new children's DVD for ages 2 to 6. It's a video that educates toddlers and preschoolers with fun child-friendly hip hop music. Children and even babies will want to move and groove and dance to the fun rhythms and beats in this educational DVD. There are several learning tools to help children of all ages and ethnic backgrounds learn key developmental concepts at an early age. Since we received the DVD & CD last week the DVD has become part of Bryce's daily routine and it DOES keep his attention. I keep the CD in the car, he enjoys listening to it in the morning and the evening when we are bringing or picking up his brothers. It's Hip Hop Baby ! 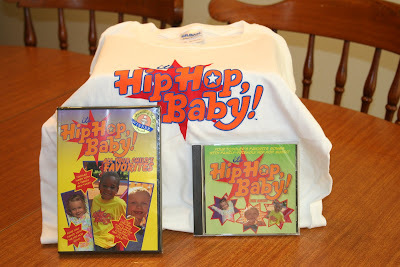 Has offered one of readers a It's Hip Hop Baby DVD, CD & Shirt ! First Entry (Mandatory): Visit It's Hip Hop, Baby , then come back here and leave a comment telling me one fact about It's Hip Hop Baby that is not in my post. 2.Tell me who you would give this to. .
5. Post on your blog about this and link back to It's Hip Hop, Baby & Me ! 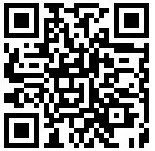 In the Numbers song the catchy music automatically helps your child learn their numbers faster than they would otherwise. It helps children develop listening skills and you know that is a good thing for them to learn early on! Children and even babies will want to move and groove and dance. I'd give this to my nephew. It helps kids develop listening skills! I like the dance music. It teaches your child their ABC's, animals, body parts, and numbers. Thanks for the giveaway! The use of hand gestures assists in the development of hand-eye coordination. Makes the kids use their hands- The use of hand gestures assists in the development of hand-eye coordination. teaches them their abcs & numbers! It teaches children their ABC's, animals, body parts, and numbers. It helps the children learn their ABC's and numbers. Music and rhyme are two of the most effective methods of incorporating new ideas into the world of a child. It helps our lil' ones learn their numbers. Hope to win. Happy New Year! There are several learning tools to help children of all ages and ethnic backgrounds learn key developmental concepts at an early age. 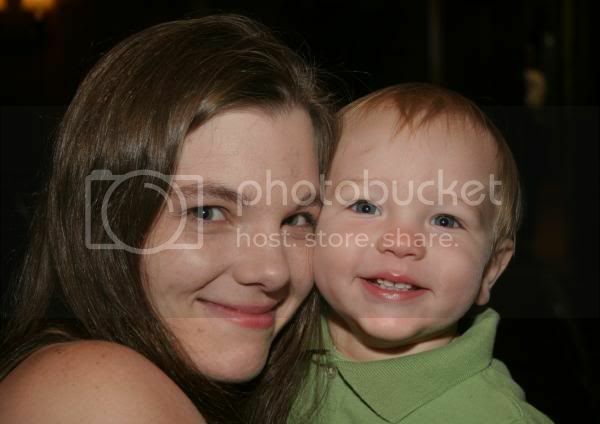 I would give it to my niece and nephew who are 2 and 4. They mention that it is a multicultural video, which I think is great! I would give this to my (full of energy) nephew. Helps in the development of listening skills. Music and rhyme are two of the most effective methods of incorporating new ideas into the world of a child. This entire educational video supports that style of learning. This educational DVD features child-friendly dance routines that help your child develop listening skills and the ability to follow simple directions. I would love to win this for my daughter. She could benefit from it. Thanks! I would give this to my cousin so that she could use it with her sons. Thanks so much! It teaches ABC's, animals, body parts, and numbers. It teaches kids about their bodies. Even babies want to move and dance. 2) To my sister for her new granddaughter. 1. Your toddler will experience the joys of learning their ABC's, animals, body parts, and numbers through fun-filled musical performances and interviews with the hip hop kids. The use of hand gestures assists in the development of hand-eye coordination. This pre-kindergarten educational video is a great learning tool for parents, teachers and daycare providers. It's Hip Hop, Baby is a winner of the iParenting Award. This would be for my son, who will be three in February. It's Hip Hop, Baby! won the iParenting Award. I heart it teaches your child their ABC's, animals, body parts, and numbers. Thanks for the awesome giveaway and entry!